Palestinians' Abbas accuses Israel of "ethnic cleansing"
(AP) UNITED NATIONS - Palestinian President Mahmoud Abbas accused Israel of ethnic cleansing Thursday for building settlements in east Jerusalem. "It is a campaign of ethnic cleansing against the Palestinian people via the demolition of their homes," Abbas said in his speech to the U.N. General Assembly. Shortly after, Israel Prime Minister Benjamin Netanyahu rebuked Abbas in his own address to the assembly. "We won't solve our conflict with libelous speeches at the U.N.," Netanyahu said. Iran overshadows Palestinian issue at U.N.
Israel captured the eastern part of Jerusalem from Jordan during the 1967 Mideast War. It later annexed it but the move has not been internationally recognized. The Palestinians want east Jerusalem to the capital of their future state in the West Bank. Abbas also said he has opened talks on a new bid for international recognition at the U.N., but didn't specify exactly when he will ask the General Assembly to vote. "Intensive consultations with the various regional organizations and the state members" were underway, he said. The Palestinians will apply to the General Assembly for nonmember state status. That stands in sharp contrast to last year, when they asked the Security Council to admit them as a full member state, but the bid failed. Abbas insisted that the new quest for recognition was "not seeking to delegitimize Israel, but rather establish a state that should be established: Palestine." Palestinian officials said their bid is likely to be submitted on Nov. 29. Abbas said in a speech to the assembly that efforts to win Palestine status as an observer state -- a lower level than last year's failed bid for recognition as a full state -- were not intended to pose any threat to Israel. "Israel gets rewarded while continues the policies of war, occupation and settlements," he said. Abbas also accused Israel of seeking to "continue its occupation of East Jerusalem, and annex vast parts of West Bank ... and refuses to discuss seriously the Palestinian refugees issue." He claimed that Israeli actions threatened to undermine the Palestinian Authority to the point "which could lead to its collapse." Palestinian officials said that their bid for recognition will likely be submitted to the General Assembly on Nov. 29, after the U.S. presidential election. Abbas has sought to avoid entangling the Palestinian statehood bid in U.S. presidential politics. Appealing to other nations for their support, Abbas asked world leaders to help avoid a new "catastrophe" in Palestine. "Support the establishment of the free state of Palestine now, and let peace win before it's too late," he said. "We have started intensive consultations with the various regional organizations and the state members in order for the General Assembly to take a decision granting the state of Palestine the status of nonmember state during this U.N. session," he said. 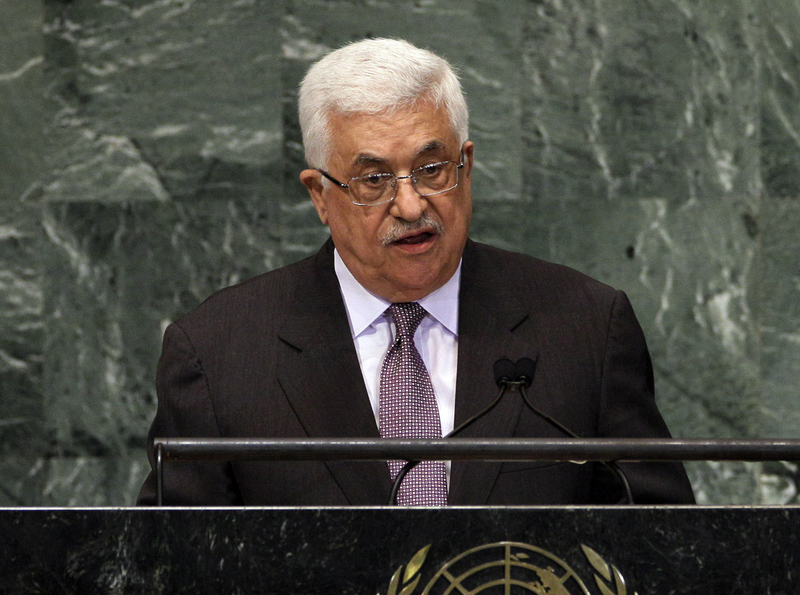 At last year's General Assembly, Abbas took center stage with his attempt to win full membership to the world body. However, that application failed to win enough support in the U.N. Security Council. Palestinians did win membership last year of UNESCO, the Paris-based U.N. cultural agency -- despite the objections of Israel and the U.S.